On January 25, 2012, the City of Austin and the London Borough of Hackney established a formal Friendship City agreement to foster exchanges in the areas of high-tech and digital media, the creative industries, economic development, and sustainability. This agreement was the culmination of a 4-day digital media trade mission to London led by Austin's then-Mayor, Lee Leffingwell, accompanied by a dozen tech entrepreneurs and public officials, and co-sponsored by U.K. Trade & Investment (now the UK Department of International Trade). On the London side the agreement was signed by Hackney's then-Mayor Jules Pipe (now a Deputy Mayor for all of London) and a roomful of tech, creative and Borough officials. The Austin-Hackney relationship was then advanced in 2014 to full Sister Cities status following two years of robust and continuous exchange activity between the communities and hundreds of members partaking on both sides of the Atlantic. This achievement was celebrated with Mayor Leffingwell traveling on the inaugural Austin-London non-stop flight on British Airways to participate in a second signing ceremony at Hackney Town Hall with Mayor Pipe on March 5, 2014. The Austin-Hackney Sister Cities committee is headed by Fred Schmidt and Andy Jones in Austin, and Hailey Woldt in London. Mayor Lee Leffingwell led a sustainable development panel during SXSW Eco 2012 focused on government efforts to incentivize targeted industry investments into Austin and Hackney. Hackney's Olympics web presence was studied as a best practice in the development of Austin's ATXGrandPrix.org (Formula 1 racing). An Austin "Love-In" at BL-NK, a former coworking and event space in Hackney run by the Borough Council during Internet Week Europe. Austin businesses were also able to work out of BL-NK while traveling in London. George Osborne, former Chancellor of The Exchequer and the second most powerful politician in Britain, visited with the Austin delegation in Nov. 2012 enroute to the G20 Summit in Mexico City. Hackney Council created Hackney House Austin during SXSW 2013 and 2014 to showcase Hackney businesses and the Austin-Hackney relationship. Hackney House inspired an even larger Great Britain House during SXSW 2016 and 2017 with thousands of Brits now visiting Austin during that time. Austin Community College and Hackney Community College have formed a collaboration that has seen students working on business projects together online and in person in both cities. Capital Factory in Austin and The Trampery in Hackney have become work centers for entrepreneurs expanding their businesses in both directions. Austin-based 3 Day Startup has run 6 intensive startup bootcamps in London over 3 years with Queen Mary University of London. Current Austin Mayor Steve Adler informally visited Hackney soon after taking office while in the area on personal holiday. Current Hackney Mayor Philip Glanville has visited Austin multiple times and is married to an Austinite. Austin-Hackney Committee co-chair, Fred Schmidt, was awarded the honor of becoming a Member of the Most Excellent Order of the British Empire (MBE) by Her Majesty Queen Elizabeth II in 2016 for advancing UK-USA relations, specifically this work between Austin and Hackney. Austin has been designated a Chapter of the prestigious professional organization, Tech London Advocates. 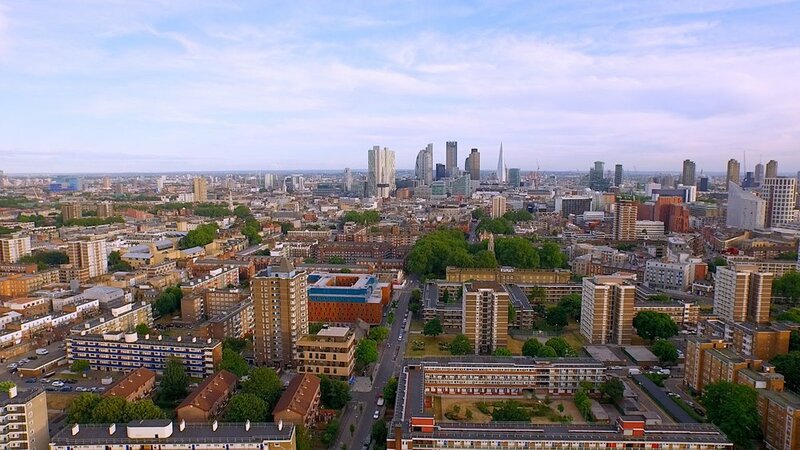 Hackney is home to "Tech City", the East London hub of tech innovation and entrepreneurship centered in Shoreditch and "Silicon Roundabout" area of Old Street. This startup scene really began to solidify in 2011-2012, while Hackney was also one of the five adjoining boroughs to host the 2012 Summer Olympic Games. As a top London advertising executive sums it up: "We've connected the USA's No. 1 city for entrepreneurship, Austin...with Europe's hottest scene for tech and creative startups in Hackney." Today the two cities maintain a continuous flow of economic and cultural activity all year round with a peak annual focus happening in Austin every March during the South-By-Southwest (SXSW) Interactive-Music-Film Conference...and then back over in Britain each June for London Technology Week (LTW).